Perla Lichi Interior Design to Design $140 Million Luxury Senior Living Community "The Palace at Weston"
Luxury Interior Designer Perla Lichi, ASID, joins Architect Gabriel Salazar, AIA, Salazar Architectural Group, Miami, in this luxury senior living project scheduled to break ground early in 2018. Interior Designer Perla Lichi, ASID, has been commissioned by The Palace Group of Miami to design interiors for The Palace at Weston Senior Living. Lichi joins Gabriel Salazar, AIA, Salazar Architectural Group, Miami, in this luxury senior living project. The new upscale senior living community is scheduled to break ground in January 2018. Located on an 8.5-acre site near the corner of Griffin Road and Weston Road, it will have more than 300 units providing independent living, assisted living, and memory care for the high-end senior living market. It is planned with a level of amenities similar to the award-winning Palace at Coral Gables, which was selected in 2014 as the “Best 50+ Independent Community” in the country. The building was designed to look like three smaller, separate buildings under one roof in order to accommodate distinct and separate areas for independent living, assisted living, and memory care. Each will have its own porte-cochère, reception area, activity center and garden. The Palace Group is a private, family-owned company, founded more than 30 years ago by Helen and Jacob Shaham. Today they are leading provider in the industry and currently own and operate senior living facilities and services in Miami, Coral Gables, Kendall, Homestead and Tel Aviv. The Palace at Weston is their tenth community. Perla Lichi is a full service Florida State licensed professional interior designer, ID #1727, and a professional member of the American Society of Interior Designers (ASID). 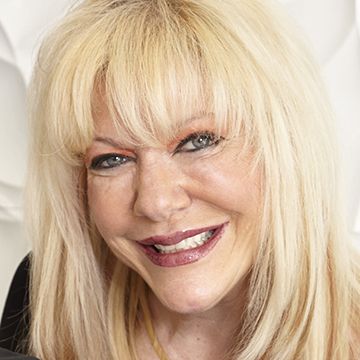 She has received more than 800 national and international awards for residential and commercial interior design projects, including 37 design awards in the 2015 Prism Best Awards from the Gold Coast Builders Association (GCBA); and 30 design awards, many with perfect scores, including “Best of Show” International for $4 million plus estate in Africa in the 2014 Prism Best Awards sponsored by the Florida Atlantic Builders Association (FABA). Her work has been widely publicized around the world in print and online magazines, newspapers, and on television. Perla Lichi has published six coffee table books showcasing her extensive design work and offering design inspiration to people around the world. Perla Lichi Design has showrooms in Coral Springs, Fort Lauderdale, and Toronto, serving clients around Florida, around the USA and around the worldwide. For more information visit http://www.perlalichi.com or http://www.thepalace.org or feel free to contact Ms. Janet Verdeguer, GAP Marketing, at 941-870-3422.